Christine Collier Clair, a Bizwomen Headliner, is the winery director of Willamette Valley Vineyards. Christine Collier Clair grew up down the street from Willamette Valley Vineyards and, as a child, would often walk to the winery to sell friendship bracelets to visitors in its tasting room. More than two decades later, Clair, a Bizwomen Headliner, is now the winery director of Willamette Valley Vineyards and is the successor of founder Jim Bernau. 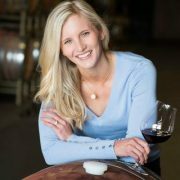 Clair, 31, oversees winemaking, the vineyards, sales, marketing and the company’s winery development division, which Clair helped create in 2015. Willamette Valley Vineyards, a publicly traded company, produces wine that is sold in every state except West Virginia. The company’s Oregon vineyards include Tualatin Estate Vineyard, Elton Vineyard and Bernau Estate. While studying entrepreneurship at Oregon State University, Clair interned at Willamette Valley Vineyards for about a year. Wine became the focus of her studies and she started her own wine label after graduating. After three years of running her own label and working for small wineries in southern Oregon, Bernau called Clair and asked if she was interested in coming back to Willamette Valley Vineyards and offered her a place in his succession plan. Clair sold her wine label in 2008 and made her way back to the Willamette Valley where she will one day lead one of the highest-performing wineries in the area. (Interview edited for brevity and clarity). How did it feel when you were asked to come back to the company? It felt like a calling. It didn’t seem like there was a decision-making factor. Jim had spent 30 years in the wine industry at that point and this is where he had taken the winery. It would’ve taken me equally if not longer to get my own brand anywhere close. It was really an ultimate opportunity and it didn’t feel like a sacrifice at all. It felt like I was compelled to do it. Maybe it runs in the water around here or something. How does being publicly owned affect the winery? It does add a significant layer of complexity. We have to have an accounting team that does our quarterly filings and annual reports and oversees all of our audits. We have a lot of expectations to live up to on the compliance side. The benefit is we really have to perform as an ongoing return to our winery owners. There is an expectation on us to deliver every year and to perform well in our industry. When did you become interested in wine as a career opportunity? When I first went to college I wasn’t thinking about wine at all. I studied entrepreneurship, which is really just teaching you to own your own business. The businesses that I was most intrigued by were agriculture-based businesses here in Oregon. I love the idea of growing something from start to finish and being able to carry on something that you grow into something that you make and then something that you sell and share. That’s what really appealed to me about wine. My favorite wine to drink right now is the 2015 Pinot Noir vintage from our Elton Vineyard. 2015 was the warmest year in Oregon’s history and we had actually lost our winemaker about a month before harvest. Harvest is like finals week, but it goes on for three months. To lose your right hand right before harvest – I was pretty devastated. That was the first year I made all the pick decisions on my own, with the help of strong viticulturists and assistant winemakers. We farm 500 different acres of wine grapes and we pick them based on their profiles, their science and chemistry. In smaller operations, maybe you only have like one or ten of those. In our operation, we have 90 different pick decisions. That was the first time I had to be the final decision maker. That year was like an evolution, at least in my wine industry career. When I drink those wines, I’m so proud of how we came together, how we overcame a really challenging time. Today’s consumer food purchases span a continuum of transactional to experiential. Successful retailers, manufacturers and food service operators will offer a balance of both extremes, said Christina Bowden, senior director of Consulting Services at The Hartman Group. The food retail landscape is increasingly complex and blurry. While traditional grocery remains the main player in retail, consumers are shopping on average more than four different channels each month, Ms. Bowden said during The Hartman Group’s Food Culture Forecast 2018 summit on April 19 in Miami. 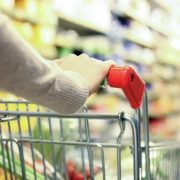 Nearly half of shoppers visited multiple stores on the most recent grocery trip, citing selection and price as top reasons. Additionally, half of consumers are shopping more online than a year ago. Online grocery shopping offers elements of transactional and experiential, answering consumer desires for convenience and value while also delivering a customized, playful and fun experience, Ms. Bowden said. “Online is a treasure hunt for consumers,” she said. An example is Thrive Market, a subscription-based platform that delivers natural and specialty snacks and pantry staples to members at discounted prices. Products are categorized by more than 70 values, ranging from low-FODMAP to locally sourced. 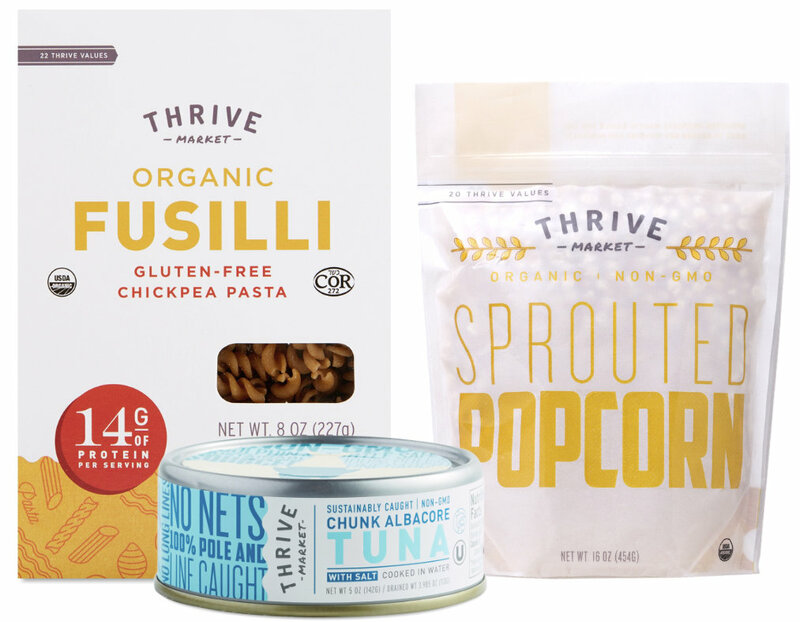 In addition to selling branded products, Thrive Market features a variety of private label items, including organic chickpea fusilli, organic sprouted popcorn and non-G.M.O. canned tuna. Two key needs articulated by consumers when shopping across retailers are fresh, less processed foods and convenience, driving growth at specialty grocers such as Aldi and Sprouts, Ms. Bowden said. Forty-four per cent of consumers are shopping more at discounter Aldi, which rates high among shoppers for value and satisfaction. 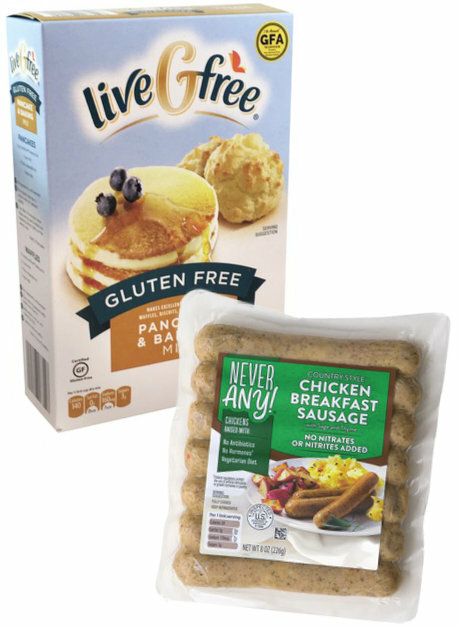 She pointed to the brand’s private label program, which includes gluten-free and plant-based options, sustainably sourced meats and a line of products free from artificial ingredients. “They’re really speaking to consumer values and building trust with the consumer around what they say they want,” she said. Food service operators also are delivering on a continuum of transactional to experiential, fueling growth of premium quick-service restaurants in recent years, Ms. Bowden said. An example is Sweetgreen, a fast-casual salad chain featuring a menu of fresh, seasonal ingredients. 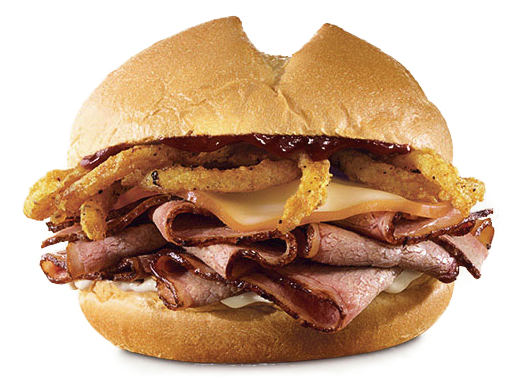 Arby’s certainly does “have the meats,” as its slogan professes, but it also offers much more. 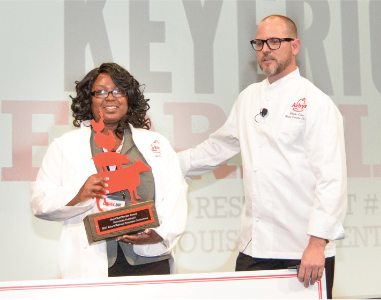 Just ask Neville Craw, vice-president and brand executive chef of Atlanta-based Arby’s Restaurant Group Inc. During the past 14 years as the head of culinary innovation, he spearheaded dozens of new menu concepts and unique fast-food experiences that have positioned the chain to meet today’s consumer expectations for both novelty and quality. Smokehouse brisket, pork belly, porchetta, gyros, deep-fried turkey, venison and elk are a few of the spins on meat sandwiches recently introduced by Mr. Craw and his team of chefs, food scientists and nutritionists. The menu items stand alongside Arby’s best-selling roast beef sandwich, of course, and sliders, corned beef, Angus steak, turkey, ham and chicken. Though proteins take center stage, Arby’s also reinvented its sides, desserts and beverages, such as its Jamocha shake, featuring a blend of coffee and cocoa. Founded in 1964, Arby’s is the second-largest sandwich restaurant brand in the world with restaurants in seven countries and annual sales of more than $3.7 billion. “Although our top-selling sandwich remains the roast beef, the brisket sandwich is inching up on it, and last fall the deep-fried turkey sandwich performed phenomenally well, as did our authentic Greek gyro sandwich,” Mr. Craw said. Perhaps the lifeblood of what he and his team do is developing limited-time offers (L.T.O.s) that — if they sell really well — may be added to the daily menu. 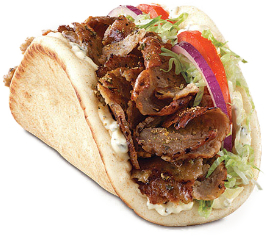 “Our gyros became permanent but were an L.T.O. first, and so was our brisket,” he said. They test more than 1,000 menu items each year, creating a constant flow of attention-grabbing L.T.O.s that each remain on the menu for about 45 days. Although Arby’s audience consists of “a little bit of everybody,” including millennials, paleo dieters and of course, protein-lovers, its core consumers tend to span between the ages of 25 to 55. How does Mr. Craw keep sandwiches unique? It involves fun flavors and protein exploration. “As long as there are consumers willing to try things with a twist, we’ll have a ton of ways to keep things interesting from our cooking techniques to how the food is prepared,” he said. Mr. Craw’s team likes to work with smoked meats; Arby’s web site even has a video showing its brisket smoking for 13 hours. Some of its proteins, such as venison and pork belly, are created using the sous vide method. Mr. Craw joined the Research Chefs Association (R.C.A.) about 20 years ago and said the organization is particularly useful for people just starting out in the industry. Mr. Craw’s own road to becoming a chef and product developer began with a degree in advertising from Boston University, not far from where he grew up in the town of Cotuit, Mass., (where his favorite oysters are from). However, he soon decided this wasn’t the right path for him. Mr. Craw then attended the California Culinary Academy and worked in fine-dining. Eventually he “stumbled” into the world of research and development. 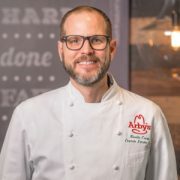 “Prior to joining Arby’s, I also served as a corporate chef for Atlanta-based Gold Kist Inc. and Grecian Delight Foods near Chicago,” he added. Mr. Craw is devoted to working with the Arby’s Foundation and volunteering with the charity it sponsors, No Kid Hungry, a non-profit dedicated to eradicating childhood hunger in America. “A group of chefs including myself — now in the hundreds — ride bikes 300 miles in three days to raise millions of dollars,” he said. As a bike enthusiast, he also enjoys traveling to foodie locations worldwide and hiking along a river in Atlanta where he lives with his 120-lb Rhodesian ridgeback dog, Maizey. 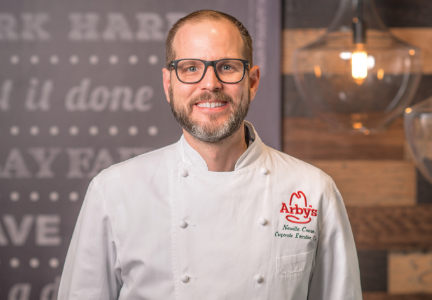 The chef’s passion for food has earned him a 2016 Menu Masters Award from Nation’s Restaurant News for Arby’s sliders and the 2017 COEX Innovation Award from the International Foodservice Manufacturers Association, in addition to several Arby’s Values Awards. 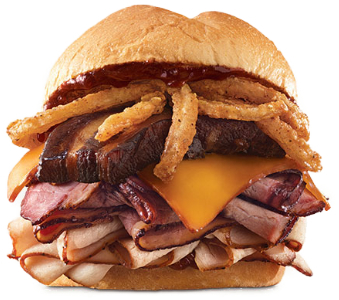 One of Arby’s most innovative, buzz-worthy L.T.O.s was its venison sandwich, introduced last fall in five hunting-centric states. Participating restaurants sold out of the sandwich within hours, Mr. Craw said, and it was launched nationally following its popularity. “One restaurant in Nashville was even painted in camouflage colors to resemble a hunting lodge,” he said. 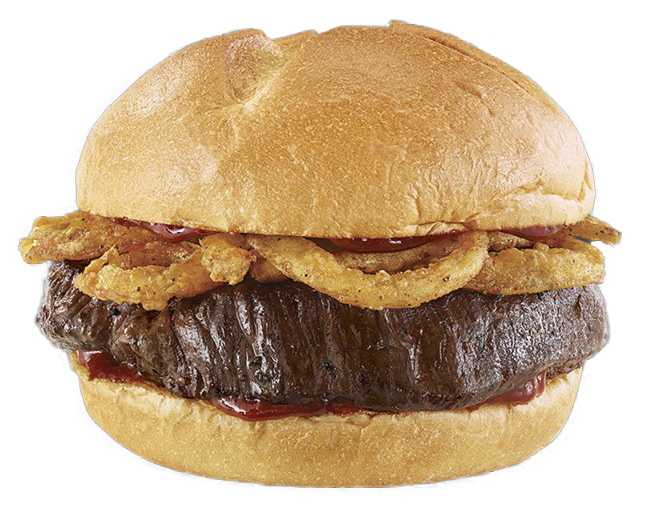 The sandwich featured a thick-cut venison steak and crispy onions topped with a juniper berry sauce on a toasted roll. The venison was marinated in garlic, salt and pepper and then sous-vide for three hours. “The juniper berry sauce is a Cabernet steak sauce infused with juniper berries, giving the already unique sandwich another signature twist,” he added. In 2012, he launched the Hey Chef Neville! program, a way to solicit new product ideas from front line employees, Atlanta Support Center team members and franchisees. Several of the winning submissions, including a Cuban sandwich and the King’s Hawaiian Fish Deluxe, have been elevated to the national Arby’s menu or slotted for an L.T.O. If it seems like everyone you meet is an entrepreneur these days, there’s a reason for that. Miami has one of the highest rates of new entrepreneurial activity in the country, nearly twice the national average, according to a 2016 Global Entrepreneurship Monitor report released Monday by Babson College. While 12.6 percent of Americans were starting or running new businesses during the past two years, 22 percent in Miami were doing so, according to the GEM report. And they are likely to be older and more educated with a higher income than their counterparts in many other cities. Miami has long depended on small businesses more than large corporations. For the past decade, it has been a hotbed for new business creation — a trend that has caught fire as tech-related startups have increased. In South Florida, as in other areas of the country, organizations and universities have been focused on accelerating entrepreneurship with new programs, mentorship, pitch opportunities and co-working spaces. Even Babson itself has launched an accelerator for women and graduate programs in Miami recently. For the first time, the highly-watched study included a city-level analysis of entrepreneurship in Boston, Miami and Detroit to provide a window into how entrepreneurship thrives locally. “It’s important to identify and monitor a city’s needs and monitor progress relative to entrepreneurship, whether that means, for example, supporting women or youth entrepreneurs or assisting ventures that introduce innovations or create jobs,” said Donna Kelley, a Babson College professor and co-author of the report. The American Dream is alive and well, according to the study. Nationally during the past two years, more than 25 million Americans were starting or running new businesses in the United States. More than half of Americans see good opportunities around them for starting a business. That’s 57 percent versus 41 percent globally — a sharp rise from the depths of the recession in 2009, in which just 28 percent saw good opportunities. In Miami, 65 percent perceive good opportunities around them and more ventures have international aspirations than a lot of other areas. However, the report isn’t all sunny. Miami entrepreneurs start businesses out of necessity and don’t last more than a year more often than the nation as a whole. Miami also trails in innovation. ▪ It’s not all millennials in hoodies eating ramen noodles, and that’s not because of the weather. Those most likely to start or run a new business in Miami are in the 35-54 age group and in the highest income category, above $100,000. Miami entrepreneurs are also more likely to have some graduate school education than the nation as a whole. ▪ U.S. entrepreneurs are driven most by opportunity (88 percent). Those who started businesses out of necessity nationally dropped to 11 percent. 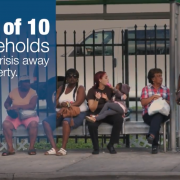 However, in Miami, nearly one in five entrepreneurs — 19 percent — are driven by necessity rather than opportunity. ▪ Thirty-seven percent of all U.S. entrepreneurs are developing and delivering innovative products or services, the highest level on this indicator in 15 years. However, in Miami, that level is just 24 percent, compared to 46 percent in Boston and 43 percent in Detroit. ▪ Miamians are most likely to start business in professional services, followed by wholesale/retail and manufacturing/transportation, the study found. ▪ The gender gap is wider in Miami — 28 percent of males versus 16 percent of females are starting or running new businesses than in the nation as a whole. Still, the slight overall rise in U.S. new entrepreneurial activity is because more women entered entrepreneurship last year than the year before, while this level has remained the same for men. ▪ Compared to national averages, Miami and Boston have more than twice the proportion of entrepreneurs who plan to have more than 25 percent of their total sales go to international markets. And in Miami, more new businesses have international aspirations than established businesses. ▪ Miamians are bullish. They are more positive about their entrepreneurial capabilities and report a lower fear of failure than the nation as a whole. More expect to add employees, too. Now in its 18th year, GEM is the largest single study of entrepreneurship in the world. The GEM U.S. team, based at Babson College in Massachusetts, is one of 65 national research teams that conducted an annual adult population survey in their economy in the summer of 2016. The survey results tracked similar trends found in the Kauffman Foundation’s reports, which showed the Miami metro area as No. 1 in the country for new business creation. However, Kauffman’s reports also ranked Miami near the bottom of 40 metro areas for growth entrepreneurship. https://startup.fiu.edu/wp-content/uploads/2018/05/Infographic_GEM_USreport_Miami.jpg 641 1140 Bella Collado https://startup.fiu.edu/wp-content/uploads/2019/01/StartUp-FIU-hrz-Color-rev-ctr_-300x65.png Bella Collado2018-05-03 17:03:302018-05-03 17:07:45Miami is heating up with startups. But who they are may surprise you. Food and beverage manufacturers have more time to comply with a new Nutrition Facts Label after the Food and Drug Administration on May 3 finalized a rule to extend deadlines. Manufacturers with $10 million or more in annual food sales now have until Jan. 1, 2020, to come into compliance. The previous compliance date was July 26 of this year. Manufacturers with less than $10 million in annual food sales have until Jan. 1, 2021, which compared to a previous compliance date of July 26, 2019. The F.D.A. 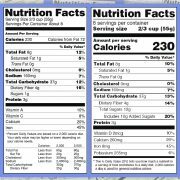 in the May 27, 2016, issue of the Federal Register published its final rule on changes to the Nutrition Facts Label and gave the original compliance date. Some of the changes included a larger type size for calories, a mandatory declaration of added sugars, and a mandatory listing of vitamin D and potassium. The F.D.A. in September 2017 proposed to extend the compliance dates to Jan. 1, 2020, for manufacturers with $10 million or more in annual foods and to Jan. 1, 2021, for manufacturers with less than $10 million in annual food sales. The F.D.A. on May 3 of this year finalized that proposed rule. StartUP FIU, a university-wide entrepreneurship initiative at Florida International University, this month has opened its second program: StartUP FIU FOOD. 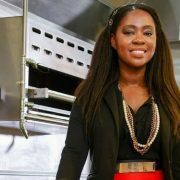 Funded with a $500,000 grant from Citi Foundation, StartUP FIU FOOD assists small community food entrepreneurs to grow their businesses, leveraging the Chaplin School of Hospitality and Tourism Management’s large commercial kitchen and providing workshops for skills development, food science training and mentorship. StartUP FIU FOOD also helps food entrepreneurs to incorporate, generate financial statements and apply for micro-finance loans and traditional commercial bank loans. “There is an unmet need in Miami for not only affordable commercial kitchen space, but also for startup incubator services, business advising and entrepreneurial networking. Sometimes we have to create opportunity.” said Emily Gresham, an FIU assistant vice president and co-founder of StartUP FIU. Greathouse Gourmet Inc: Gourmet condiments and sauces that blend Caribbean flavors. Lemon City Tea: High-quality, ethically-sourced teas inspired by Miami. Helene’s Ice Cream, LLC: Artisanal frozen desserts: ice cream, frozen custard, sorbet, and custom ice cream cakes. Frice Cream: Handcrafted ice cream and pastries using locally sourced and natural ingredients. Timeline Brewery: Beer with flavors influenced by culture and history. Sweet Jalane’s Inc: “Made from scratch” desserts, flavored cakes and cupcakes, mini bundt cakes, pies, pastries, fruit cobblers and cookies. Etienne plans to accept new applicants to the program throughout the year. More information: https://startup.fiu.edu/food. StartUP FIU launched an accelerator program last fall on the Modesto Maidique campus and has a technology-focused program planned for a Kendall location in the plans for launch within the next year. The spate of small companies bringing new, targeted innovations to the market is changing the very nature of consumer products. 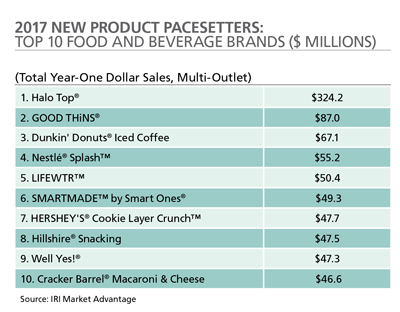 Thousands of new retail brands hit store shelves last year, and each year Chicago’s IRI recognizes exceptional first-year product successes in food, beverage, convenience and non-food segments with its 22nd annual New Product Pacesetters report. The latest group of food and beverage Pacesetters for 2017 included 40 percent that are entirely new brands. The No.1 spot went to ice cream phenomenon Halo Top, which alone garnered a whopping $324.2 million in its first year, higher than the past three Top Pacesetter winners. 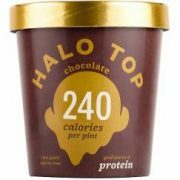 Halo Top has successfully tapped into the large segment of calorie-conscious indulgers by printing its calorie content (280 to 360 per pint, not per serving) in large type on the package’s front panel. The 2017 Pacesetters group also reveals a slight uptick in brands earning year-one sales of $40-59 million. Granted, there are big names behind some of these new brands, which focus on healthier, customized innovations with new ways of meeting younger consumers’ needs. Yet 49 percent of the top-ranking brands came from smaller manufacturers — or those selling less than $1 billion annually, which accounted for 26 percent of Pacesetter dollars. Overall, the top-selling 200 new brands captured cumulative year-one sales of more than $4.6 billion across IRI’s multi-outlet geography. Despite having endless choices to discover at their fingertips, millennials and genZs are eager adopters of new CPG products. They shop differently from those who came before them. They no doubt helped Halo Top capture that No. 1 spot. But the second spot was a new spin on a very old brand: Ritz Good Thins thin crackers sold $87 million. Next was Dunkin’ Donuts’ ready-to-drink iced coffee at $67.1 million. Millennials and genZs also strongly embrace wellness and self-care products, and consider Campbell’s Well Yes! soup to meet their demands for clean, simple and nutritious ingredients to make healthy eating quick and easy. Likewise for Lifewtr, Nestle Splash zero-calorie/zero-sugar flavored waters, Smartmade veggie/protein/grain meals from the Weight Watchers brand Smart Ones and Hillshire’s Snacking packs. In the convenience store arena, Red Bull Green Edition took home $110.7 million, followed by Lifewtr ($107.6 million) and Monster Mutant Super Soda ($42.3 million). To be considered a Pacesetter, a product must complete a full year of sales in calendar year 2017. IRI starts tracking year-one sales after a product reaches 30 percent of national distribution across multi-outlet geography. This means grocery, drug, mass, dollar stores, club and convenience-store channels. The above is just the top products in the grocery-store category. A separate IRI list tracks top new products in convenience stores. Interestingly, in 2017, most of that top 10 were beverages, including Red Bull Green Edition Lifewtr, Monster Mutant Super Soda, Phusion Projects’ Four Loko Gold malt beverage. IRI also announced its Rising Stars, which are new food and beverage products that will complete their first year in 2018 and, if they keep up their pace, should make next year’s Pacesetters list. Interestingly, many of them are confections, including KinderJoy, the candy egg/surprise treat from Ferrero, Hershey’s Gold nonchocolate candy bar and Mars’ M&M’s Caramel candies. Breakfast foods, snacks and drinks also are on the list, such as Jimmy Dean’s Simple Scrambles from Tyson’s Hillshire brand, Oui yogurt by General Mills’ Yoplait, PepsiCo’s Gatorade Flow sports drink, Ritz Crisp & Thins from Mondelez, Lay’s Poppables snacks from PepsiCo’s Frito-Lay Division, RxBar’s simple ingredient protein bars and Sunsweet Amaz!n bottled juices from Sunsweet Growers. Categories in convenience are starting to blend and blur more. For instance, Monster, known as an energy drink brand, launched Monster Mutant Super Soda, a carbonated soft drink. Carbonated beverage Mountain Dew Black Label is packaged to look very similar to an energy drink. 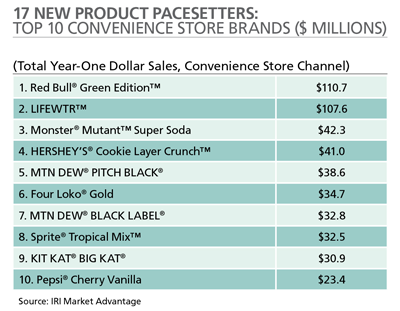 All of the top 10 convenience-channel Pacesetters are pure indulgence products (except for bottled water), which reflects consumers’ ongoing desire for healthier-for-you indulgences.